Product information "Shadow Printed Silk Tie - Black - Handrolled"
Black silk tie with shadowed floral pattern in lighter grey. Simple, but unusual. Works wonderfully with a grey suit, white/light grey striped shirt, winter kimono pocket square, black braces and suede oxfords. 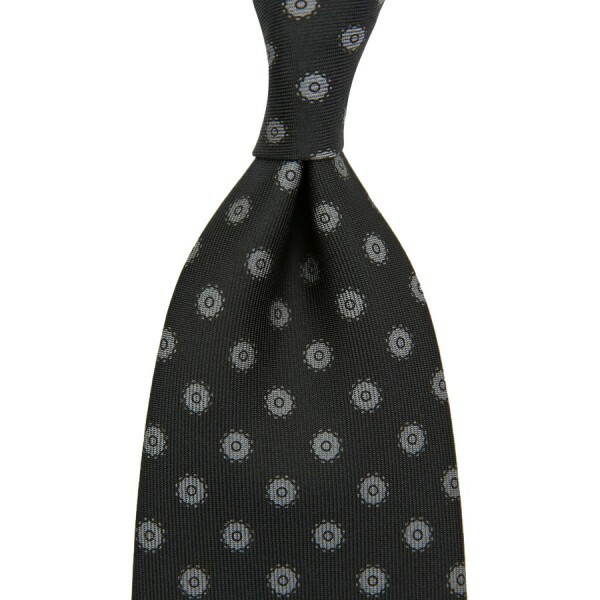 Related links to "Shadow Printed Silk Tie - Black - Handrolled"